Since 2010, BLUE Missions has been facilitating international service trips for high school and university students across the United States. We are so excited that you will be joining us on a trip in 2019. Below you will find all the information you will need to prepare you for your trip. Check back often, as we will continue to update and provide you with all the information you need. watch this video to learn about what was discussed at our 1st trip preparation meeting. The Community Contribution Fee (CCF) is a way for volunteers to help fund the water and sanitation projects they will be helping to construct during Service Trips. If you are on a water project, your fundraising goal is $500. If you are on a sanitation project, your fundraising goal is $250. We have already set up your personal fundraising page on our website. All that is left to do is start sharing that page with family, friends, neighbors, coworkers, businesses, etc. 100% of every dollar donated to your personal page will go directly towards covering the cost of the water or sanitation project you will be working on. If you raise more than your goal, you can not transfer the extra donations to your trip cost. You should have received an email from one of our staff members with the login credentials to your page. If you did not, feel free to email us now and we will send it over to you. The deadline to raise your CCF is June 30, 2018. After this date, we will send you an invoice to pay for the difference in what you fundraised and your CCF goal. Are you still worried that you won't be able to raise your CCF before your trip? Check out our blog post below for some inspiration and tips on how to meet your goal. It is entirely possible, just takes a little time and effort on your end. In 2017, our supporters and volunteers helped us build 7 aqueducts, 328 latrines, and impact over 5,000 individuals. The numbers might be impressive, but hearing the stories of transformation from those affected themselves is even more wow-worthy. Included in your trip cost is a round-trip flight from Miami to the Dominican Republic, depending on your service trip. If you do not live in South Florida, you are responsible for the flight from your home town to Miami and from Miami back to your home town. We will be emailing out your flight itinerary by the end of April so that you can go ahead and purchase your flight to and from Miami. If you have any questions regarding flights, do not hesitate to contact us today. 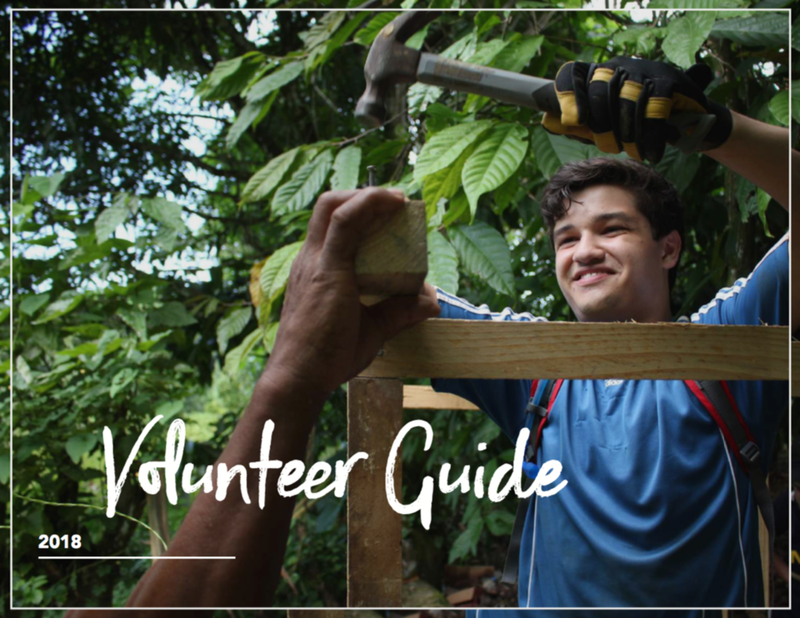 Prior to traveling on your service trip, ask your pediatrician or primary care physician for vaccine recommendations on traveling to the Dominican Republic. You can also contact Dr. Mavunda at International Travel Clinic for medical and travel advice for your trip. They are very knowledgeable with vaccinations and preparing you on how to prevent mosquito bites. Click on the links below to learn more about Dr. Mavunda's Travel Precautions and Insect Protection. All participants and parents signed our Waiver and Code of Conduct Contract on the application. Participants are expected to follow all instructions, rules, and regulations. These guidelines are in place to promote the health, safety, and wellbeing of all BLUE Missions participants. • Cellphones will not be allowed to be used for cameras or music. *Violation of any of these rules or inappropriate actions by participants are grounds for immediate removal and return to the United States at the participant’s expense with possible further actions, including but not limited to nullification of any community service hours and letters of recommendation. 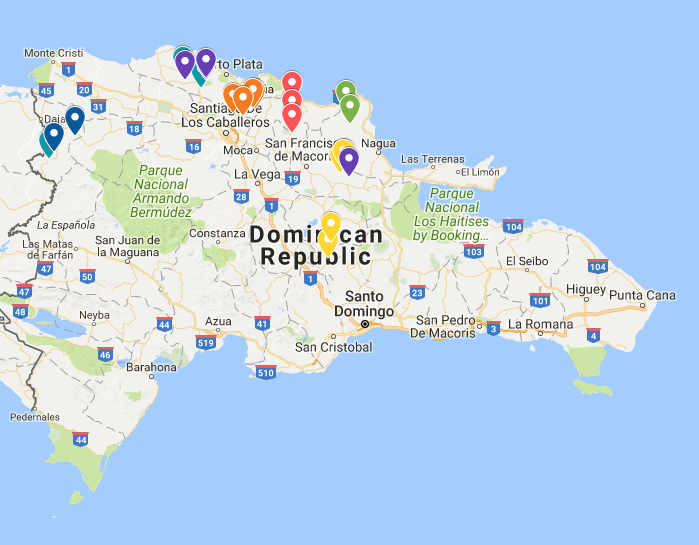 Click on the map to see where your trip will be working in the Dominican Republic. Click on the map to the left to see the coordinates for your trip and the community you will be working in. Check your email for a detailed look at the community and project. If you have any questions, check out our FAQs Page. If the answer is not on there, feel free to send us an email!